On Friday, the Sheila C. Johnson Design Center at The Parsons New School for Design will kick off their annual fall exhibition, Art, Environment, Action! The 11-week interdisciplinary and interactive laboratory, open to the public, includes workshops, lectures, discussions and a wilderness hike through Greenwich Village. A varied group of contributors, from dancers and chefs to designers and scientists will investigate the common premise of how their interactions within the natural world can be used to bring consciousness to the environment. In the first event of the showcase, the Public Laboratory for Open Technology and Science will host a map-knitting workshop. 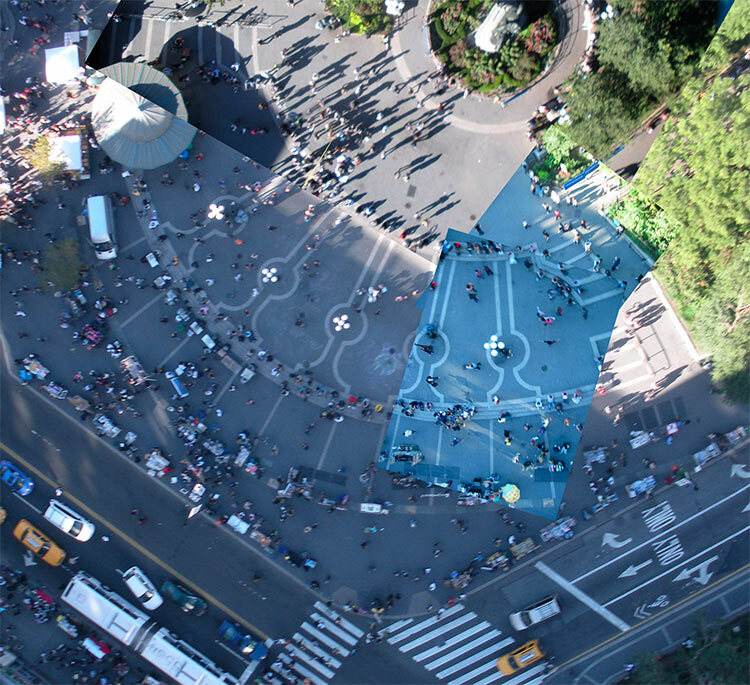 Participants will remap a public area in the city using an elaborate handmade camera rigging system along with balloons and kites to capture aerial images of the site below. The images will then be posted online and layered atop existing satellite images of the area. The result is an attempt to use maps as communication and a tool in redefining public areas as a community owned territory.